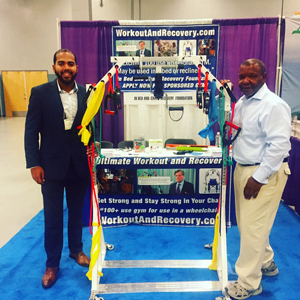 Roy Foreman and Keith Johnson showcasing Ultimate Workout and Recovery at the Abilities Expo New York. The Abilities Expo is about bringing necessary products and services together under one roof for the Community, their families, caregivers, seniors, and healthcare professionals. It's about introducing opportunities that can enrich your life ...especially ones that you never knew were out there. Click Here for more info on the Abilities Expo New York.